The Care and Share campaign is a partnership between the Bureau of Land Management the Idaho Rangeland Resource Commission. 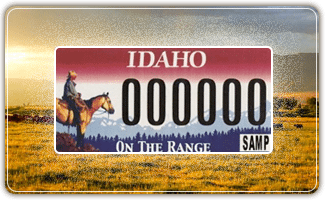 The theme of the campaign is Care for Idaho’s rangelands and share them respectfully with others. If you are interested in implementing care/share materials in your area, please contact the IRRC office or download the order form below and submit it to the IRRC office. Several other state and federal government agencies are committed to participating in this proactive educational campaign. Idaho’s rangelands make great playgrounds for outdoor recreationists. They are also important workplaces for ranchers. There is plenty of room on Idaho’s rangelands for all of us if we take care of the land and treat each other with respect. Natural areas that are not irrigated, farmed or densely forested. They include sagebrush grasslands, desert shrublands, and mountain meadows. Nearly 25 million acres in Idaho (48% of the state) are rangelands. Rangelands are beautiful, open places that provide opportunities for outdoor recreation, forage for livestock, and habitat for fish and wildlife. Government agencies issue ranchers permits to graze sheep and cattle on public rangelands. Ranchers pay fees and must comply with many laws, regulations, and policies. If you encounter sheep or cattle on a road or trail, make them aware of your presence and move slowly by without startling them. Ranchers “hire” guard dogs in an effort to protect their sheep by scaring off potential predators, such as cougars, bears, and wolves. Guard dogs are often Great Pyrenees or Akbash that are bred and trained to protect livestock and they take their jobs very seriously. They are not pets. Pets can look like predators to guard dogs, triggering them to bark and even attack. Please keep your pets under control to avoid confrontations. Many ranchers use grazing systems where cattle graze in some areas and stay out of others to allow grasses and shrubs to grow and reproduce. Fences and gates are critical tools to keep cattle out of areas that are resting and rejuvenating. If you open a gate, please close it properly to keep cattle where they are suppose to be. Just because the land is not irrigated and is covered with sagebrush does not mean it is public land. Take the time to find out who owns the land before you begin your adventure. In Idaho, public and private lands are intermingled. About 80% of the rangelands in the state are publicly owned and 20% are privately owned. Many ranchers and other landowners voluntarily allow recreation on their land; it is your responsibility to protect this privilege. Contact your local BLM field office for information on land ownership or to obtain a map. Please treat all lands as you would like others to treat your property. Stay on existing roads and trails, obey posted signs, and pack your garbage out.